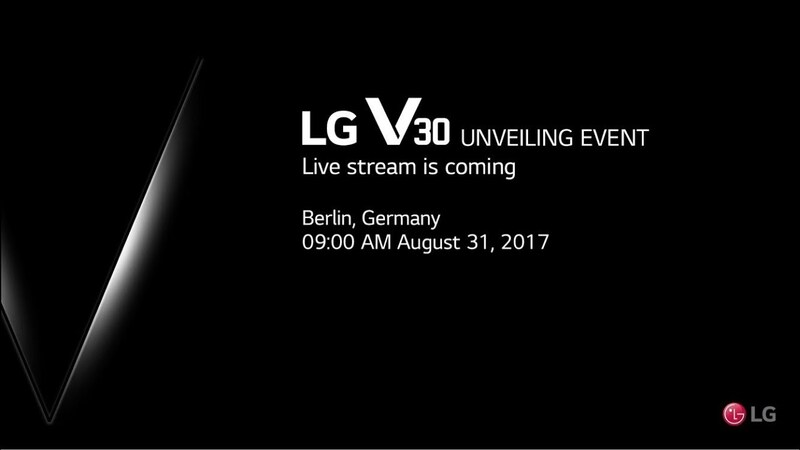 The LG V30 will be unveiled tonight during a press conference in Berlin at IFA. The event kicks off at 12:00AM (Midnight) Pacific or 3:00AM Eastern. We’ve seen a lot about the V30 already, including a number of confirmed items from LG. For example, LG already told us that the phone will feature a Quad DAC, new UX 6.0+ software with floating toolbar, f/1.6 dual camera setup with a Crystal Clear lens, and a big ol’ 6-inch POLED QHD FullVision display. We’ve also seen the device in use through promo videos that slipped by LG’s buddy, Joseph Gordon-Levitt. We know a lot about the V30 and have already weighed in on its fancy new design. Tonight, we’ll learn the rest (we hope), like when it’ll ship, how much it’ll cost, and if there are any other surprises in store.